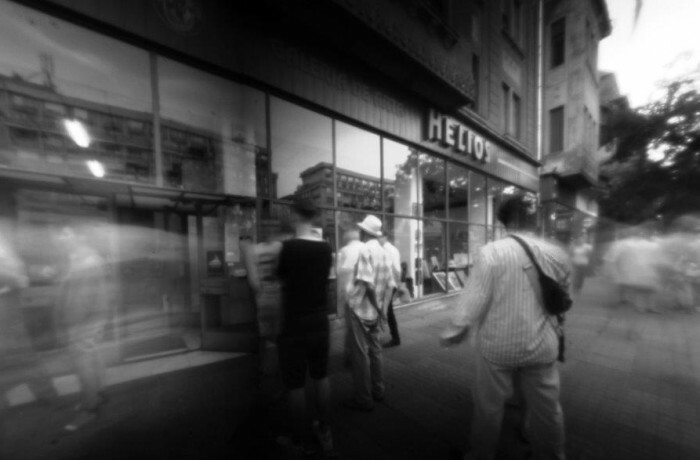 Digital panoramic pinhole images taken at the vernissage hosted by the Helios gallery during the Unseen/Celebrating Dada exhibition, organized by the Avantpost art collective. Exposure: 4 seconds on digital sensor. Regarding my take for the exhibition you can read and see here. Project details are here.